Fill a highball glass with ice cubes. 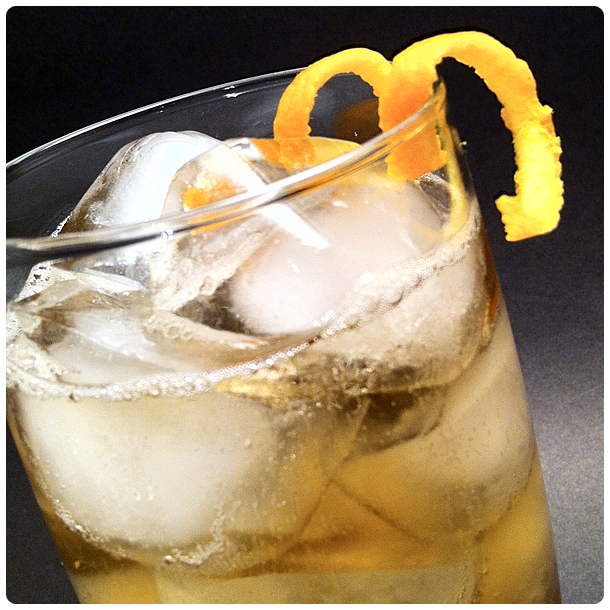 Pour amaretto and scotch over ice and top off with ginger ale. Garnish with twist of orange.